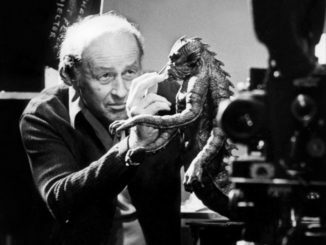 Earlier this week I wrote a brief article in memory of Ray Harryhausen and spoke of how he helped to revolutionize the art of visual effects in film. These effects, which made Harryhausen a household name among horror and science fiction fans, were achieved through stop-motion animation or Dynamation, as Harryhausen dubbed the art (a term which never really seemed to catch on). 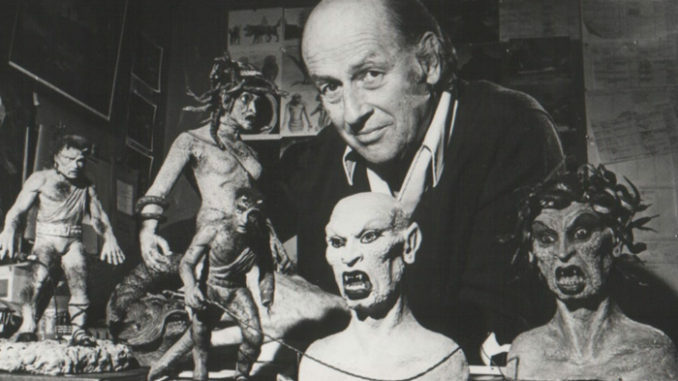 Through Dyanamation, Harryhausen was able to create many spectacular monsters, dinosaurs, machines and other creatures forged straight from one of the most imaginative minds in the industry. Since the Internet loves its lists, I wanted to give my ranking of the Top 10 Harryhausen monsters. I’ll go ahead and mention that this is my own personal Top 10 and others may not agree, so please provide your own list in the comments section below. These dreaded machines from another world provide us with a very humble beginning to the list and are quite deserving of the number 10 spot. While Harryhausen is known mostly for the monsters he created, he did design a fair number of spacecraft and other machines for the films he helped on. The titular flying saucers, while simple in design, create quite a sinister presence anytime they are onscreen. The truly impressive thing about the flying saucers is how they interact with their environment; watching one crash into the Capitol Building or the Washington Monument really is a thing of wonder knowing that all of the set pieces were built by hand and destroyed in the same manner. Harryhausen must have had some sort of fascination with the human skeleton as he created no less than a half dozen for various film projects. What sets this group apart from other skeletons is that he had to create so many who would all be onscreen at the same time. Not only that, but the fight between the skeletons and the Argonauts had to be choreographed and the skeletons movements had to be coordinated with the human actors. Watching the whole scene (and it is a very long scene) and knowing the techniques that had to have gone into filming it, you can’t help but be impressed with the amount of work and precision that Harryhausen was capable of. This was a tough one; The Golden Voyage of Sinbad has quite a few monsters in it and the film culminates in a fight between two of them: a centaur and a griffin. Choosing between the two wasn’t an easy decision to make, but I felt that the centaur may have required a little bit more effort in both design and filming. The attention to detail in the model is exquisite and Harryhausen’s idea to give it one eye instead of two just goes to show how many creative liberties the man took in his work. The fight between the two creatures was very well choreographed and there’s so many little details present here that every time I watch this scene I notice something different. While there isn’t anything spectacular about the design of this monster (it’s really nothing more than a bronze statue) the screen presence of Talos is what sets him where he is on the list. From the instant that Hercules enters the treasure chamber on Talos’ island, the viewer gets the feeling that something is wrong. The silence, brought on by a lack of music or background noise, is shattered when the door to the treasury loudly closes behind Hercules. Upon forcing his way out, Hercules is met with a giant, motionless statue of Talos; until, that is, said statue looks down at him. The tension and shock factor present in this scene is brought on by one element: Talos. Furthermore, the blank face and unblinking, merciless eyes of Talos only add to the unexplainable creepiness that persists throughout this scene. A 200 foot long octopus is the main monster in this classic from the age of giant monster movies. During the ’50s, it seemed that audiences couldn’t get enough of watching giant monsters destroy familiar landmarks. What sets this one apart from other behemoths is the fact that it was made entirely through Dynamation, which means that all of those arms had to be moved individually and consistently while being photographed one frame at a time. Watch the scene where the octopus destroys the Golden Gate Bridge and think to yourself how much of a pain it would have been to film that scene. Fun fact: the octopus in this film only has six arms instead of the anatomically correct eight; Harryhausen was forced to create the creature this way because of the films budget. An idol of the six-armed Hindu goddess is brought to life through means of sorcery to combat Sinbad in this legendary scene. 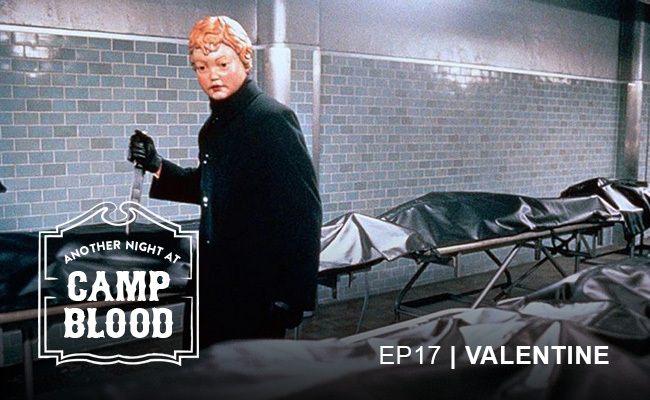 Again we are met with a scene that must have been a nightmare to choreograph and film; each arm had to move independently and coordinate with real-life actors. The difference between Kali and the skeleton army is that, while the skeletons each fought their own actor, Kali had to take on six men by herself. Kali has a higher spot on the list because of her look; her expressionless face is unforgettable as is her ability to fend off Sinbad’s entire crew with a sword in each hand. There is a buildup to the fight prior to this scene; the idol is present in the background and when it is brought to life it comes as a bit of a surprise to the viewer if they weren’t expecting it. If there is one creature that Harryhausen loved to animate, it’s dinosaurs. There are at least four of his movies that primarily feature dinosaurs and each of them feature at least half a dozen of them. I could fill an entire list naming Harryhausen’s dinosaurs alone (hmmm). The reason Gwangi reigns supreme is because he serves as the titular character for the best of the Harryhausen dinosaur films. Who can resist a movie where the premise is “a bunch of cowboys fight off a bunch of dinosaurs”? Gwangi is an Allosaurus who has been living in a forgotten valley in cowboy country and is captured and placed in a circus. He, of course, escapes and wrecks havoc in what may be the best cowboy vs. dinosaur film ever made. Gwangi also gets a lot of screentime which ranks him so high on the list. Another hard one to rank here; getting further down the list, I knew I had to include something from Clash of the Titans but couldn’t quite decide which one. 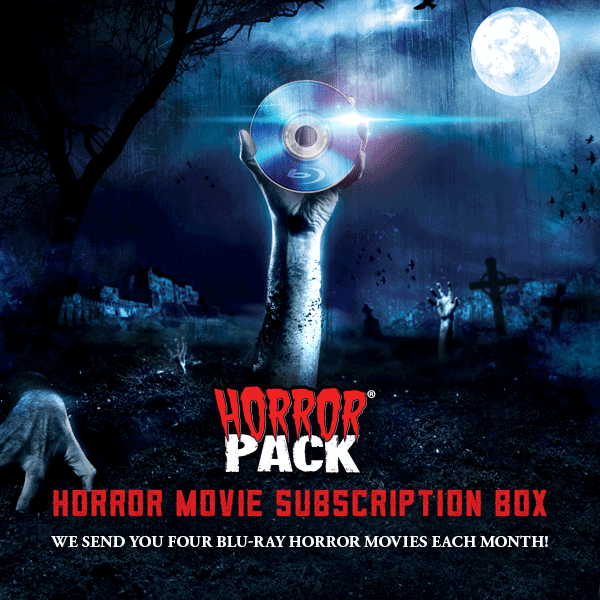 The film has so many classic creatures in it: Medusa, Pegasus, scorpions, a two-headed dog and even Bubo the owl. However, I decided to sell out and pick the most obvious one who’s presence is built up the entire movie and paid off at the end. The creature’s design is quite unique and isn’t something that I could explain to somebody who has never seen the film before. I also applaud Harryhausen for taking a creative liberty in not staying true to the classic description of the Kraken as being a giant octopus or squid; instead he made the creature out to look as he wanted it to. Finally, if it weren’t for this monster, we never would have been given the best movie line ever: “Release the Kraken!”. The Ymir just barely missed out at being in the number one spot on this list as it is truly one of the most iconic movie monsters ever made. What I think makes the Ymir truly unique is that it is entirely original in both concept and design. The Ymir is not based off of a dinosaur or mythological creature or anything like that. Starting out as a hatchling from an egg which was brought back from the planet Venus, the Ymir begins as a small creature. Pretty soon the creature grows to a gigantic size and rampages through the streets of Rome, fights an elephant and takes on the Army in a nonstop sequence of events that leaves you breathless by the time it’s all said and done. Also iconic, in my opinion, is the roar the Ymir emits; it is a truly unique sound that is instantly recognizable by any Harryhausen fan. Fun fact: the name of the creature is never mentioned once in the entire movie. Get your torches and pitchforks ready, I didn’t pick your favorite monster for the number 1 spot on my list. While many may disagree with this choice, I see the Hydra as being the best of the Harryhausen monsters. Serving as the guardian of the Golden Fleece at the edge of the world, the Hydra is the final monster that Jason must fight on his quest. All seven heads (yes, I know the Greek Hydra has nine heads) had to be animated independently and would have been a real pain to keep track of. The design of the monster as a seven-headed dragon is true to the myth and it has a real screen presence that does not leave the viewer disappointed when they realize that the entire film has built up to this scene. When you watch this scene, you see that every move that both the monster and the actor commit are deliberate and consistent with each other. Choreographing the fight must have taken a lot of hard work and it really pays off in this scene. I believe it is partly because of this monster that Harryhausen always considered Jason and the Argonauts to be his best film. This is a really great blog — do you have the option to follow via email? I did look, but if it’s here somewhere, I couldn’t find it. If you don’t have a follow button yet, please consider adding one! Excellent, thanks — just subscribed! Interesting line up of RH creatures. 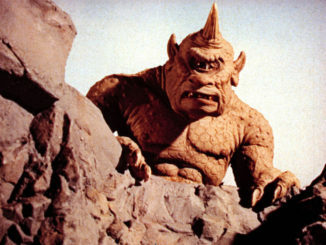 My top three faves are the Cyclops, Ymir & Mighty Joe Young. The crocodile from The Three Worlds of Gullivar is also a stand out character though it is only in a short scene.